The Indian coasts are to be opened to accommodate construction activities. There is a debate brewing in the nation today whether this move will benefit the coastal communities or simply fill the coffers of certain powerful lobbies. There is also a feeling that it will thrust the fragile marine ecosystem to the limits of its endurance. The debate was sparked off on August 5, 1999, when the ministry of environment and forests ( mef ) issued a notification approving amendments to the Coastal Regulation Zone ( crz ) Rules to ease restrictions on oil and natural gas exploration and certain other activities in coastal areas. These proposed changes will also permit receipt, storage and regassification of liquefied natural gas and salt harvesting by solar evaporation of seawater in coastal areas under crz . The modifications further allow the construction of houses by local inhabitants after obtaining permission from the Central or state governments or a designated authority. Commenting on the proposed amendments, Union minister of environment and forests, Suresh Prabhu, went on record to state: "A new sub-clause has been introduced which allows construction of dispensaries, schools, public rain shelters, community toilets, bridges, roads and provisions of facilities for water supply, drainage, sewage by local inhabitants, especially fisherfolk on a case-to-case basis." (See box: The proposed amendments ) Coincidentally, Suresh Prabhu's constituency Rajapur happens to be near the coast in Maharashtra. The crz rules, which practically ban all construction activities within a specified distance from the high-tide line, were framed during the early 90s with the aim to preserve the sea-front and prevent pollution in the coastal regions. They were issued under the provisions of the Environment Protection Act ( epa ) and came into effect from February 19, 1991 (See box: Categorisation of coastlines ). Implications of the proposed modifications Despite the statement issued by Suresh Prabhu, there is widespread concern about the repercussions on the coastal ecology once the proposed amendments are implemented. Meant to benefit the coastal communities, environmentalists feel the move will give a free rein to industrialists and developers eager to exploit the coasts for commercial gain. "Obviously the commercial builders and industrialists stand to gain from these modifications," says Delhi-based environmental lawyer Devaki Panini. She further pointed out: "The alibi that the present changes to the crz rules are being sought to develop the coastal communities does not ring true. The sole purpose is to acquire more coastal land for carrying out commercial activities." This is bound to happen because the modification, if approved, will actually bring human settlements closer to the waters by 50 m. The government proposal is to reduce the setback from creek, river or backwaters, estuaries and so on from 100 metres to 50 metres for permitting construction of dwelling units for local inhabitants. Although the notification makes it clear that permission will be granted only if the dwelling is used by a local for residing purposes and not for any commercial activity, doubts have been raised as to how strictly the clause will be abided by. That this permission can be granted by a local designated authority has further made matters easy for builders. "This is nothing but a backdoor means to allow commercial construction in these areas," says Hari Babu, programme coordinator of Coastal Zone Watch, a unit of Bangalore-based environmental organisation, Equations. On a similar note, A J Vijayan, former secretary of the Kerala Independent Fishworkers Federation, an affiliate to the National Fish Workers Forum ( nff ), says: "Now that any designated authority can allow construction on the coasts in place of the Central government, the regulations may be flouted with impunity." Further, local dwellings will be allowed if the coastal region is not classified as a crz i area, groundwater is available and the density of population as per the 1991 census is not less than 400 per sq km. "Nowhere in the original guidelines is density of the population taken as a token of the nature of the area. Nor will there be any drastic difference in the groundwater table between 100 and 50 metres. Therefore, the same cannot be taken to determine the developmental capacity of an area," Hari Babu explained.Most environmentalists argue that, save for introducing more technicalities, the proposed provisions defeat the very purpose of enforcing restraint on activities along the tidal-influenced water bodies. Further, the reduction is due to be implemented where the coastal land is a barrier land, sand bar or spit, sandwiched between the sea, or bay or rivers provided that the average width is less than 100 metres. "This again," says environ-mentalist Hari Babu, "is illogical, as such coastal features are rare and extremely fragile given that their width is less than 1,000 metres." Thus, the proposed amendment would actually contribute to the destruction of the coastal environment (See diagram: Suicidal impacts ). In the original notification, in crz iii areas, between 200 and 500 metres, construction of dwelling units was permitted so long as it was by and for the traditional occupational communities living in the coastal zones. Now, the amendment proposes to replace the phrase 'customary rights and customary uses such as existing fishing villages' with 'local inhabitant' - interpreted as any person or his descendants who have been living in the area prior to February 19, 1991. Devaki Panini points out: "This leaves it open for real estate investors and even rich aqua farmers to stake a claim as a local inhabitant if they have been living in the area prior to the stipulated time." Worse still, the 'burden of proof' - whereby the plea made by any person claiming to be a local inhabitant is refuted on the basis of substantial evidence - will fall on the economically disadvantaged fisherfolk. Therefore, what will effectively be achieved is complete subjugation of the coastal communities by the powerful commercial sectors. Yet again, the government's plan to allow the construction of dispensaries, schools, public rain shelters and other public amenities in crz iii has a loophole. For, if such constructions are allowed, the crz iii areas, by definition, get classified as crz ii since they will be considered as having been "substantially built up with infrastructural facilities". This defeats the very spirit of the law as laid down in the definition of crz iii areas with the primary intent to preserve the relatively undeveloped and undisturbed areas from being exploited and to retain their undisturbed state. "Such constructions in the crz iii areas will, therefore, convert the very nature of the region," says Hari Babu. The coastline area has always been a bone of contention between the powerful lobby of builders and the local people. In some cases the tensions have run high between the local community and the industrial units. This has led to a lot of acrimony and ill-feeling. The local people are often left with a take-home feeling that rich developers can bulldoze their way through the crz guidelines. "It is a fact that people belonging to traditional coastal communities and living in the coastal regions demarcated under the crz were not allowed by the state governments to construct new houses and other civic amenities. Yet, the very same governments are approving new plans and proposals to construct hotels and tourist resorts on beaches in clear violation of crz rules," says Vijayan. A flashpoint came on March 8, 1999, when in response to a petition by the Kerala Matsya Thozhilali Federation (Kerala Fish Workers Federation) and two individuals of Vizhinjam fishing village, the Kerala High Court asked the authorities to strictly enforce the crz regulations. The court also ordered the demolition and removal of all constructions that violated the crz norms in the state. The first casualties of this order were two high-profile tourist spots - the Somatheeram Ayurvedic Beach Resort and the Manaltheeram Beach Resort - in Thiruvananthapuram near the famous Kovalam Beach. By amending the crz rules the government may be attempting to diffuse this crisis by designating a local authority to grant permission to locals to construct dwelling units. It also seems the government has sought the amendments because "difficulties are being faced by the inhabitants of the areas falling within the crz and there is a need for infrastructural facilities in these areas", the notification states. This hardship is perceived in terms of the numerous violations that have taken place by way of various constructions that have come up near creeks, rivers or backwaters that fall within the crz iii category. However, the decision may backfire if powerful builders use their clout to encroach on the coasts, as has been the common trend in the past. "The idea of this notification seems to be that if the regulation is diluted to allow and legitimise some of these infractions, the number of violations will decrease. This actually amounts to retrospective legitimisation of what is currently illegal," points out Hari Babu. In Kerala, critics note that housing is not the real issue. The poor coastal communities crowd the periphery of the beaches with their settlements. They were never allowed to set up community facilities on the coasts by the government on the pretext that the area came under crz . "It is not concern for the poor fisherfolk, who inhabit the crowded seashore, but for the big business houses that prompted the government to seek relaxation," says Thomas Kocherry, coordinator of the World Forum of Fish Harvesters and Fish Workers. Besides this, the coastal regions in India are literally bursting at the seams with people, a majority of them poor and dependent on the resources of the sea for their livelihood. Added to this is the ecologically fragile ecosystem threatened by sewage and industrial wastes that are dumped directly into the waters without any prior treatment. Crippling population: India's coastline of 7,500 km, spread across nine states, borders a 2.02 million sq km area of Exclusive Economic Zone ( eez ) in the sea. The nine coastal states of India have a population of 420 million. Of this, about 330 million live on or within 150 km of a coast. The management of this intensely populated region is an extremely difficult issue. The coastal states in India have a population density ranging from 600 per sq km to over 2,000 per sq km (as in Kerala) against the national average density of 300 per sq km. The population load and the multifaceted activity in the region have led to the deterioration in the quality of coastal life. Major modifications in these thickly-populated and resource-rich coastal systems are the result of state and private intervention through coastal engineering structures. These include sea-walls built to protect the coast as well as structures for the coastal resource exploration and coastal area development. The poor fisherfolk: Widespread poverty is a marked feature of the fishing community in India. Fisherfolks are further harassed by stringent government rules that do little to protect their livelihood from being threatened by commercial activities on the beaches. "Coastal problems exist not due to infraction caused by the hardships of local people, but because of gross violation perpetrated by the more affluent," says Hari Babu. Laws and legalities never stopped the powerful construction moguls from encroaching on the coasts. Instead, they only served as a deterrent in the way of the poor fishing communities who are deprived of their traditional rights. Pollution from towns and cities: Tourist destinations like Panjim, Thiruvananthapuram, Goa, Mumbai, Puri and Cochin, among others, are heavily populated areas. The coasts in these regions are severely contaminated with untreated toxic chemical wastes from industries. Moreover, most of these towns are ports also. So ships of all sizes discharge oil and petroleum effluents into the sea, making it unfit for bathing and dangerous for aquatic species. Tourism troubles:crz has always been an issue of heated debate for coastal states, especially in view of the huge tourist potential. In the past, attempts by the states and the Central government to dilute the crz norms had failed. In April 1998, the then urban development minister Ram Jethmalani had gone on record asking for relaxation of the crz notification. 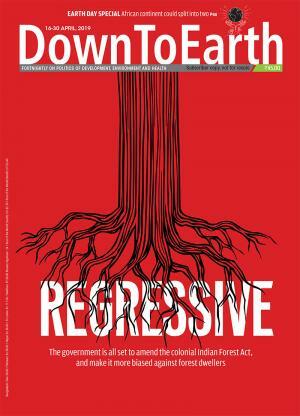 "Is it possible to enforce the act at Mumbai's Marine Drive?" he had questioned, ignoring the fact that Marine Drive has for long been a developed area. Take the case of Kerala. The Kerala government, hyperactive in its frantic efforts to dilute the crz norms, always went out of its way to woo tourists. The most ambitious developmental plan in Kerala is the Mega Bekal Project which aims at constructing scores of resorts in the northern tip of the state at an estimated cost of Rs 315 crore. The only hurdle in its path was the crz rules. Centralised decision-making: The most debatable issue before the environmentalists is the effect that centralised authority has on good decision-making. The latter is an essential requisite to ensure effectiveness in the implementation of policies, be it the crz or the Forest Conservation Act. In case of crz , with the governing body sitting in New Delhi, the coastal communities from as far off as Cochin feel increasingly alienated from the authorities. The result being that in some cases fisherfolk are prevented from making repairs to buildings in traditional fishing villages by the state administration invoking crz rules. However, the proposed move to decentralise authority may have some drawbacks mainly because affluent developers can now use their clout to find a way around the rules while the local communities are still given a raw deal. The only way out of this dilemma may be to involve the participation of people from the coasts in all decision-making activities. Otherwise efforts towards coastal environment management may go waste with repetitive dilutions.